Within 24 hours, all inmates are interviewed for an Own Recognizance release by Pre Trial Services. If granted, the inmate will be released without the need for bail. If the release is not granted, bail will be set for the inmate or the inmate will be held without bail until seen by the court. Money orders, certified and cashier's checks should be made payable to the court hearing the case. Once bail is posted, the release procedure takes from one to four hours. 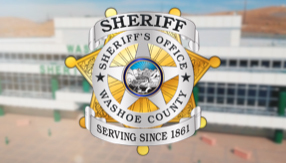 Washoe County Sheriff’s Office cannot recommend or suggest a bail company. The usual release time for “TIME SERVED” is 5:00 a.m. We do not provide transportation from the Detention Facility. Citi-Fare buses run a regular schedule between the facility and downtown Reno. *Need help? Call 1-877-EZBAIL5 to speak to a GovPayNet Bail Specialist. GovPayNet is a private debit and credit card processing company and will be the Merchant of Record for all bail-related payments consumers amke through the GovPayNet remote bail service.